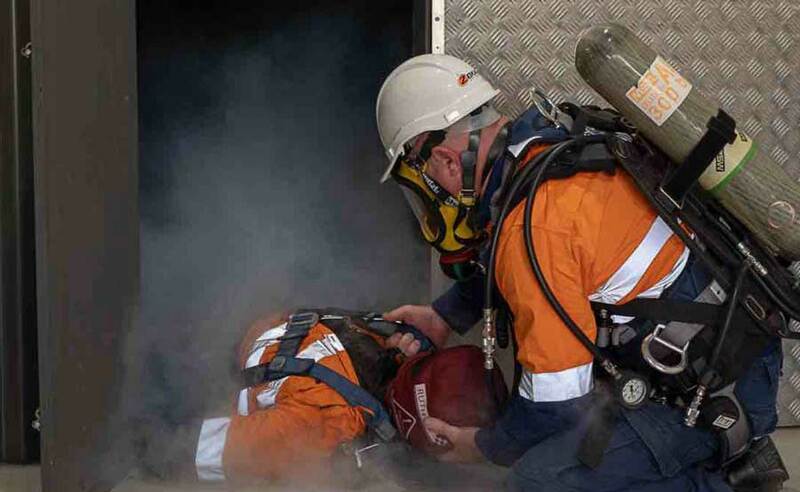 Confined space training is essential for people from all industries as confined space deaths in Australia continue to hit the news. This is particularly true for rural farms where work health safety regulations are not strictly adhered to. The senseless deaths of 3 family members on a property near Gunning, NSW back in 2017 illustrate this. The family were cleaning an empty water tank on their property, when they became overwhelmed by carbon monoxide fumes from a petrol pump they were using in the tank. Asphyxiation is the leading cause of death in confined spaces. This happens because of either a lack of oxygen or introduction of toxic gasses or fumes. People forget that there is no airflow in confined spaces, so toxic fumes from an engine or from glue or cleaning chemicals can quickly build up. There’s really no warning and people succumb to the effect of the fumes, becoming dizzy and collapsing where they continue to be exposed until they die. SafeWork NSW recently recommended that people working on properties work outside of confined spaces where possible and “design it so that there is no need to enter”. However, where it is necessary to work in a confined space, farmers and farm workers should identify and assess the risks,” they said. Confined space training will help people working in those environments to identify risks and minimise their exposure to them. They will also learn the necessary safety precautions and safety equipment they need to utilise. One of the necessary precautions is to employ a ‘confined space standby’ to watch over the person working in the water tank or confined space. The standby is there to continuously monitor the conditions inside the water tank from outside and, where possible, observe the work being carried out. This person must undergo training and be able to recognise warning signs and alert the person working in the tank before the situation gets out of hand. They should consistently communicate with the person in the confined space and respond if there’s an emergency. However, if a worker collapses in the tank, the standby should not enter and attempt a rescue as they will be subjected to the same toxins as the person who has collapsed. A large percentage of confined space deaths are actually people who enter the space to rescue the worker who has collapsed. What confined space training should you do? Every person who needs to enter, work in, or inspect confined spaces should do this course: Confined Space Initial – 1 day . But it is not recommended for confined space standby personnel or observers. They should do the Confined Space Advanced – 3 day program – Safety Observer / Standby. This course covers all the material in the Initial & Intermediate Confined space courses and much more. As confined space standby personnel must be involved in rescue, the course covers rescue in more complex confined space environments. Participants learn to work as a team member or by themselves. Participants learn to work in a range of confined space rescue situations. 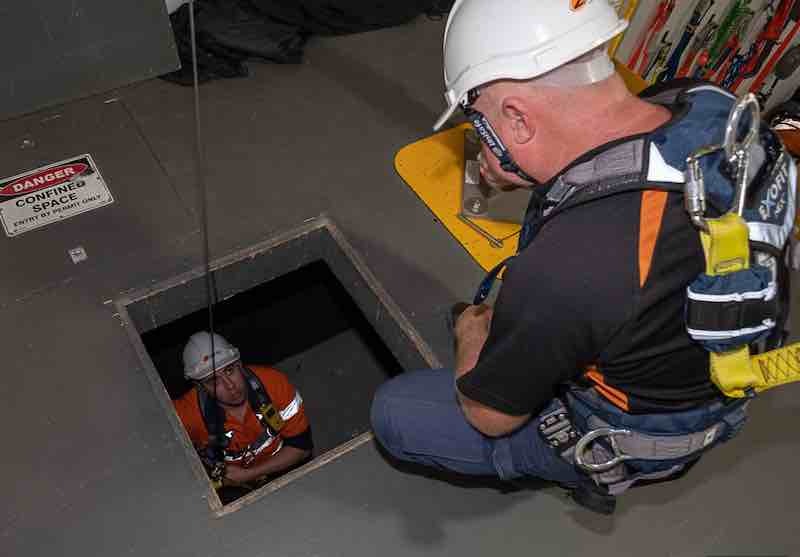 Confined Space Intermediate – 2 day is an in depth course for those entering or working in a confined space where they could be potentially exposed to toxic vapours or gases. Participants will learn how to identify confined space hazards, work safely within confined spaces and operate confined space equipment. Gas Test Atmospheres – 1/2 day is a suitable course for people who may be required to challenge test the gas monitor and test an atmosphere before entering or working in a confined space. Operate Breathing Apparatus – 1/2 day is essential training for anybody who is required to operate breathing equipment in a potentially dangerous atmosphere. Regardless of the industry you work in or whether you work in a family business or for a large company, if you work in, or are responsible for people who work in confined spaces, confined space training is a necessity.